Tucked into a neighborhood mostly consisting of auto repair shops is the pleasant Guatemalan oasis of Jireh Restaurant. A picture of Tikal, the grandest of Mayan cities, and the flag of the country draw people inside. The place seems to do a lot of takeout and most of the customers are men. Most prepared foods change daily and are located on the steam table, although there are dishes that can be prepared anytime. When I ate here at 8pm on a Friday night (it closes weeknights at 9pm), the foods seemed a little luke warm and could have stood a little cheering up. They do not sell beer, but fortunately will agree if you want to bring some inside, making your dinner and drinks ridiculously inexpensive. The most common dish on the list of daily specials seemed to be the pipian de pollo ($6, below), which is available at least three days per week. While the dish could have stood to have more sauce, the chicken was very good. 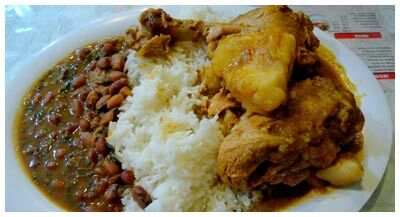 Add that with a nice portion of rice and beans which are both excellent, and you have a top notch meal. 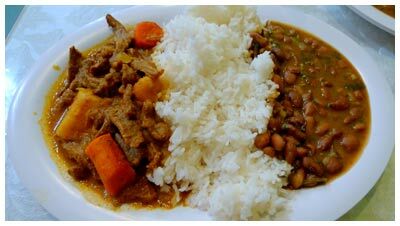 Another meal served with rice and beans is the hilacha de res ($6.50, below), small strips of beef served with a stew-like gravy. This dish suffered the most from the passage of time, as the beef was extra well done, but you could tell it would be excellent at lunch. There are some excellent small antojitos that are distinct to Guatemalan food, if not by name, then by preparation. One worth trying is the chuchito ($2, below, fried), which is similar in texture to a Mexican tamale, but when deep fried creates a crispy outer shell. The deep frying is not obligatory and raises the price 50 cents. It is served with a nice fresh salsa and crumbled cheese, and is filled with chicken. Also filled with chicken are the Guatemalan tamales ($2, below), which are prepared similar to Chinese sticky rice dishes. There are steamed to piping hot and did not really need any salsas or extras to enjoy. Opening the leaf gives you not rice, but a very wet masa and chicken mix. 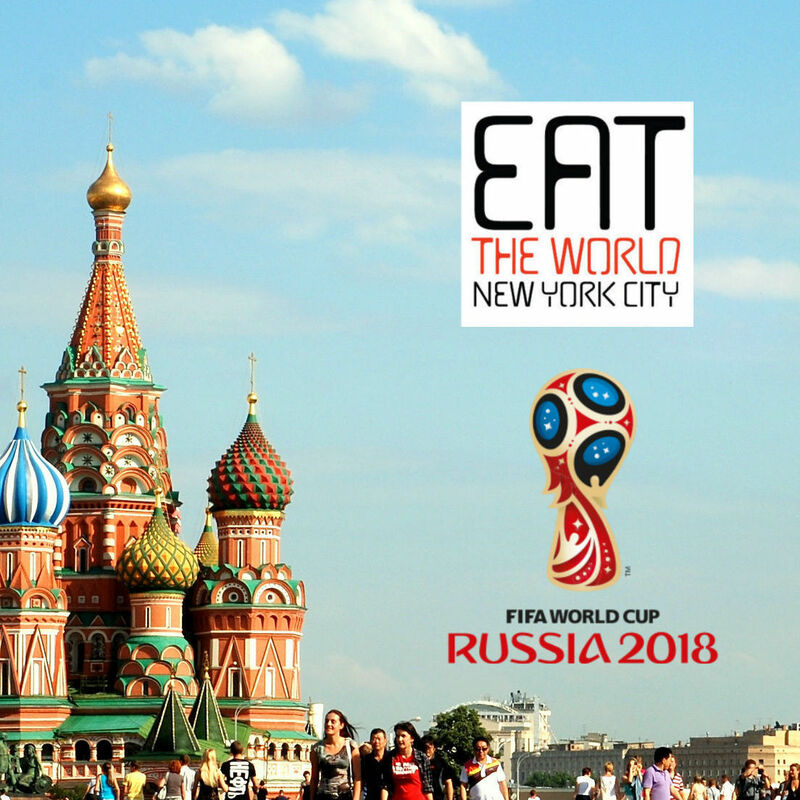 The meat is very tender and delicious, and this dish is definitely one not to miss. It is worth noting that the large menu above the kitchen is mostly dedicated to breakfast, of a very North American style, and was singing its siren song to us throughout the entire meal. Somehow the thought of their "big breakfast" here was very enticing, hash browns and all.